Darsana is a stand alone online game combining the fast paced visceral game play of melee weapons, bows, and elemental magic with light RPG statistics for leveling up, potions, and character statistics. I had done all of the scripting, designing and rigging of character models and weaponry for this project. I had collaborated with many overseas artists and beta testers to put together the large art library necessary to display Darsana. 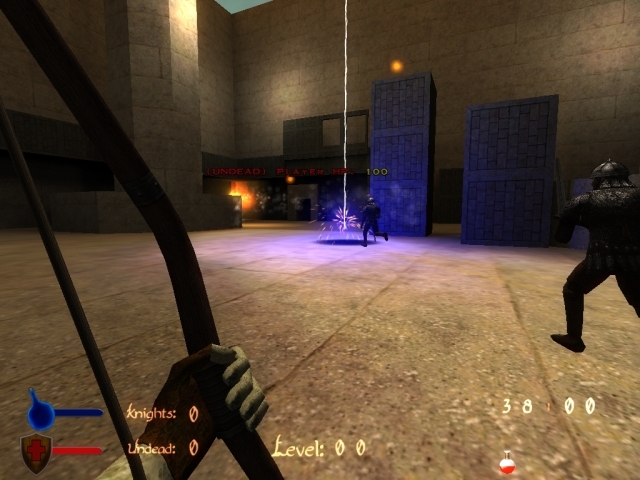 Darsana won Moddb’s Editor’s Choice Standalone Game of the Year 2006. 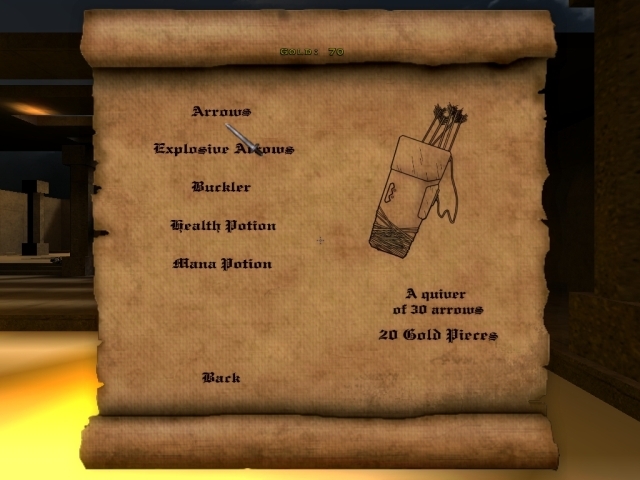 The ‘buy menu’ allowing the player to choose from a variety of items based on his gold count which he/she receives from accomplishing objects / eliminating the opposing force. Alpha 0.5.2 beta testing. Here was the introduction of the magic based weaponry hence the colorful display of lightning, leech, and fire magics. This balanced out well with the kinetic projectile based bows and crossbows.